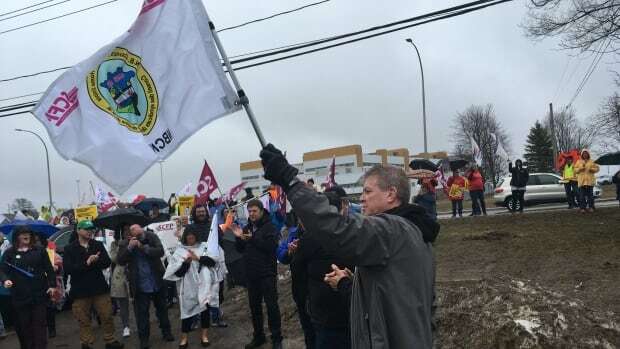 Nursing home employees across New Brunswick are set to walk off the job Sunday morning after the Canadian Union of Public Employees gave strike notice Saturday. The strike could start as early as 3 a.m. The decision comes after thousands of workers voted in favour of a strike for higher pay and better conditions on Thursday. More than 90 per cent of approximately 4,100 workers voted in favour of a strike, according to results released Friday by the union. The workers who will be striking include licensed practical nurses, resident attendants, dietary and laundry workers and some clerical workers. Contract negotiations have been ongoing since the workers’ last contract expired in October 2016, but have been unsuccessful. There are about 4,500 residents staying in nursing homes and 46 non-profit nursing homes across New Brunswick. The management team and registered nurses will still be working. “I watched us come up through this process of bargaining and we had doubt, and today there’s not a second of doubt. And Mr. Higgs, we are your worst nightmare,” Nadeau said. Family members of seniors in care are being asked to help look after their elders for the duration of the strike. “We’ve always been actively involved in mom’s care but now this is going to require a greater commitment on our family,” Lyons said. Social Development Minister Dorothy Shephard is expected to speak on the matter Saturday afternoon.